Bones are the body's foundation. Having strong dense bones is essential to good posture, strength and balance. The quality of our skeletal structure has a direct impact on our appearance, vitality and energy level. The better we stand, walk and move around, the more youthful we will look and feel. Building and maintaining strong healthy bones is a lifelong concern because our bones are living tissue in a constant state of renewal. Most people believe thin weak bones are an inevitable part of aging. However, research is showing this may not be the case. Bone loss and osteoporosis can be prevented and possibly reversed with proper diet and lifestyle. Two of the easiest ways to achieve this is by eating more soy-based calcium rich foods and including weight-bearing activities in our daily routine. A vital factor in keeping our bones strong and healthy is the ability to absorb and retain calcium. It doesn't matter how much calcium we take in if our body is not assimilating it properly. Diets high in animal protein leach calcium and other important minerals from the bones. They cause our body's acid loads to increase, which forces our system to pump more water into the kidneys to help flush it out. This diuretic response results in excessive calcium and magnesium excretion, which leads to osteoporosis. Independent studies conducted at various universities in the United States and Hong Kong indicate soy foods can have a protective effect on our bones. That soy protein enhances calcium retention and absorption, resulting in less excretion in the urine. They found soy's protein and isoflavones increase bone mineral content, density, quality and strength. They also noted that soy helps the body's ability to rebuild bone, and may even reverse osteoporosis. Soy foods like tofu made with calcium sulfate, tempeh and fortified soymilk provide calcium, magnesium and isoflavones our body can more easily absorb and retain. Soy foods are also a complete high-quality vegetable protein source without the saturated fat and cholesterol found in animal proteins. While diet can help build strong dense bones, it alone will not produce the same bone improving effects than when combined with exercise. Each enhances and compliments the other in preventing osteoporosis. Weight bearing and aerobic exercises are necessary to create bone building benefits. Any activity that causes you to lift weight, including your own body weight, is considered a weight bearing exercise. Some examples include stair climbing, squats, pushups, sit-ups, or any movement with some kind of heavy weight (like dumbbells) involved. Even gardening and house cleaning can become weight bearing exercises if we do a squat instead of just bending over to pick things up. Walking, hiking, jogging and dancing are activities that are considered both weight-bearing and aerobic. Among these, walking is the simplest and safest method of building and maintaining healthy bones. No special equipment or training is needed, and it is very easy on the joints. Walking strengthens bones and muscles while at the same time increases stamina and endurance. Begin by walking 30 minutes a day, 3 to 4 days a week. Don't think of distance, just try to walk as briskly as possible while maintaining good posture. The pace should be fast enough to get a good workout and still be able to hold a conversation. For more information about soy, visit the Virtues of Soy website at http://www.geocities.com/virtuesofsoy/ . Monique N. Gilbert has a Bachelor of Science degree, is a Certified Personal Trainer/Fitness Counselor and Health Advocate. 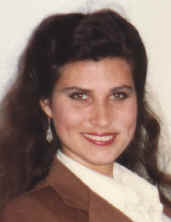 She began a low-fat, whole grain, vegetable-rich diet in the mid-1970's. This introduced her to a healthier way of eating and became the foundation of her dietary choices as an adult. She became a full-fledged vegetarian on Earth Day 1990. Over the years she has increased her knowledge and understanding about health and fitness, and the important role diet plays in a person's strength, vitality and longevity. In addition to writing articles, Monique also has an "Ask the Expert" column at the Veggies Unite! 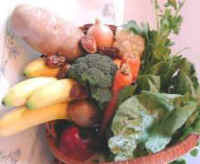 website ( www.vegweb.com ) where she gives advice about health, fitness and vegetarian/vegan diets. Monique feels it is her mission to educate and enlighten everyone about the benefits of healthy eating and living.